Have you heard of the Munch Mitt? It’s a relatively new teething product for your baby. 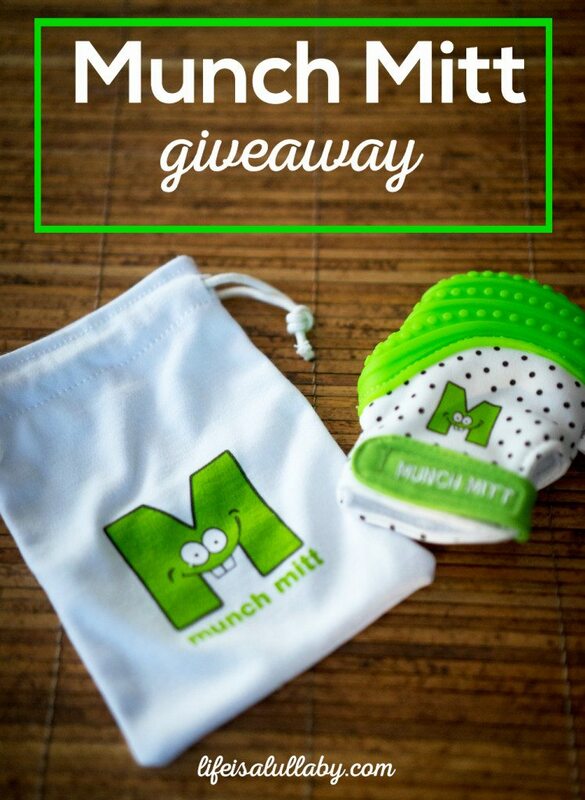 I included it in my Top Teething Products for Babies and now I get to share with you even more information on what the Munch Mitt is and how it works! 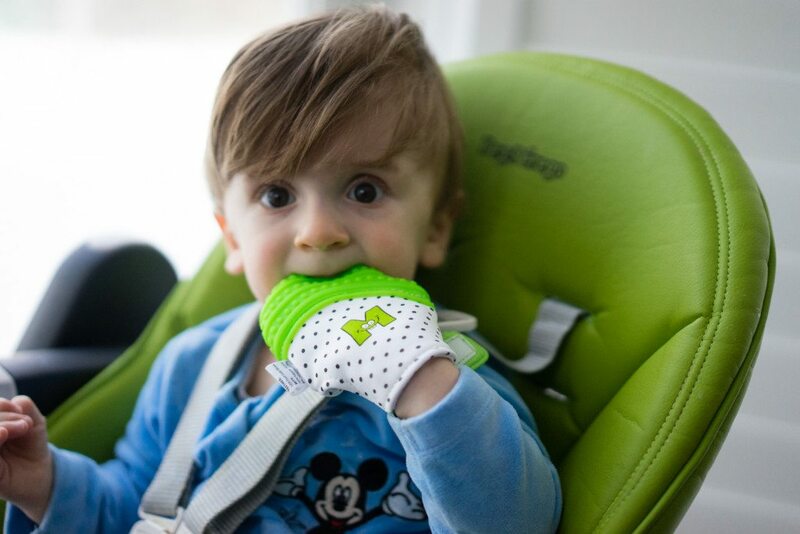 Here is my Munch Mitt Review so you can decide if this teething mitten is right for your baby! 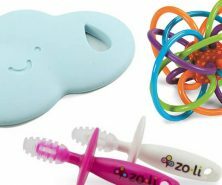 is a “handy” teething product that provides teething relief without having to worry about baby dropping the teething toy. It also protects the hand from irritation due to chewing. have kindly offered us to try the product out for a review for you guys. They are also going to give away a package to one lucky reader! Aren’t they so kind? We couldn’t wait to give it a try! 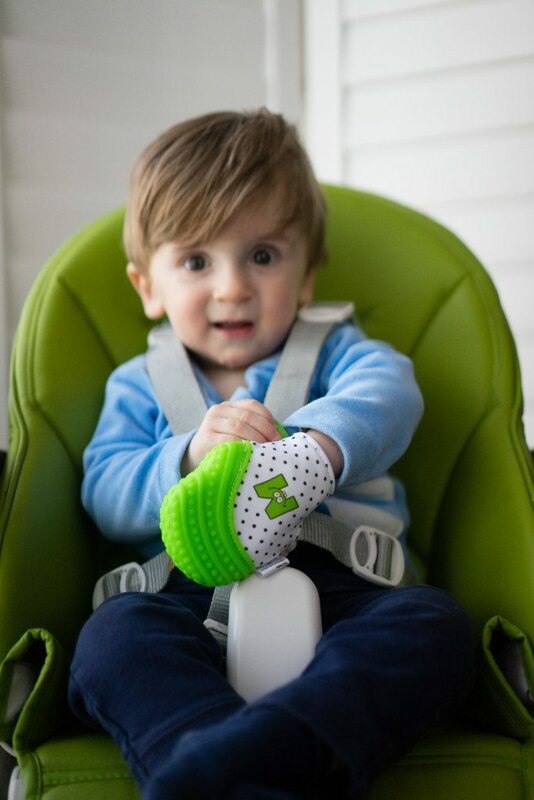 And here’s our experience with the Munch Mitt! 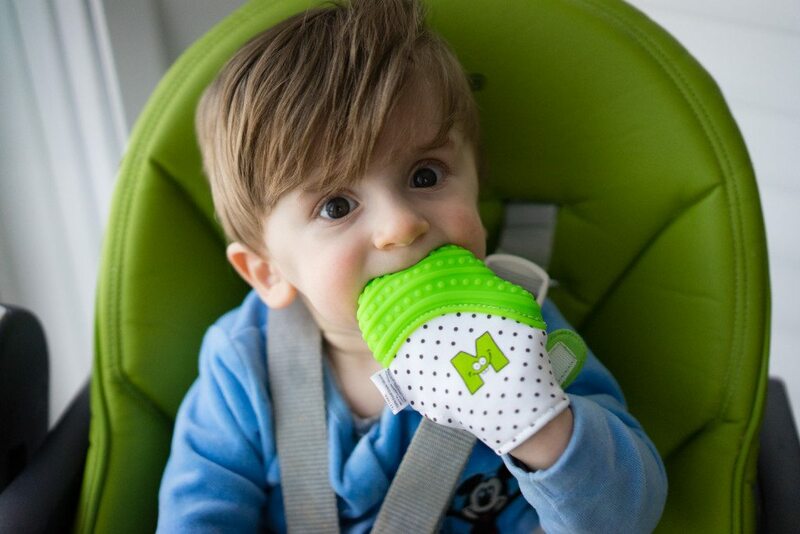 What I love the most about the Munch Mitt is the crinkly noise! This will keep your baby entertained for at least 15 minutes, I guarantee it. 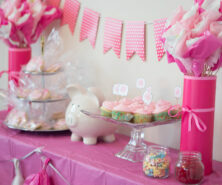 Which in the world of baby entertaining is a really long time. 😉 It also has bright colours and a black & white pattern to attract baby as well. So how did it go with our little man? 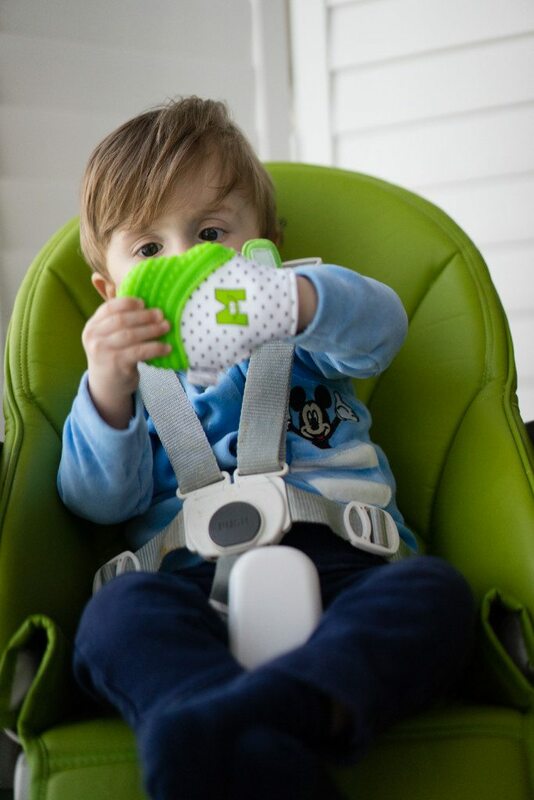 is designed for babies over 3 months of age to 12 months. Suggested use is from 3 months – 8 months so our little guy is a few months over this age range. He was able to remove the mitt himself until I figured out how to securely put it on so that he couldn’t take it off. At which point he had a lot of fun waving his hand around seeing what he could do with it. He also enjoyed chewing on it quite a bit! I could see him really LOVING this when he was younger and would highly recommend for any babies in the 3 to 8 month age range. He still had quite the time enjoying his Munch Mitt though and provided me with at least 15 minutes to get lunch ready while he inspected the mitt and had a good “chew”. How awesome! My baby is about to be three months and he’s already going to town on his little hand! So much so that sometimes he gags himself 🙁 so this is ideal! You’ll love it then Nora! brilliant design!!! I would like my teething son to try it. My daughter is expecting her second child and I know first hand how my granddaughter hurt when she was teething. This would be what my new grand baby will need when she start teething.